Timpani Roll: Final Weekend ! 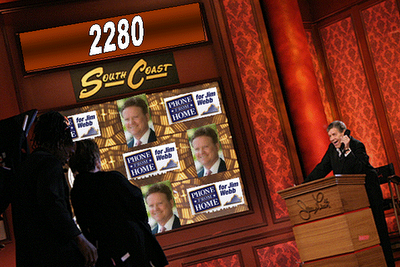 I made 223 calls from home for Jim Webb this weekend! My goal for tomorrow is to get my total above 2500 calls. That will be a big number. That would be 25% above my original goal! This is literally it. The polls open in less than 36 hours. Don't leave anything in the tank. We can all rest on Wednesday. Find something, anything you can do in support of Jim Webb! Comments on "Timpani Roll: Final Weekend !" Great job calling. Good luck this weekend. By the way, we had another GOTV campaign invasion for Kellam/Webb. Our canvassing numbers were much MUCH higher than last weekends. We canvassed more houses for Kellam/Webb than any other congressional campaign in the country last weekend... and in one day, Saturday, broke that number. Look for a post from the W&M Young Dems in the near future. You guys are kicking @$$! We're almost at the finish line.